Born in 1942 in Hong Kong, Rev. 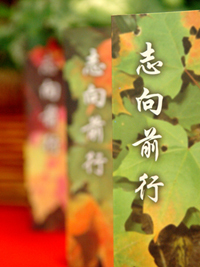 Peter Leung entered the Holy Spirit Seminary in 1958. After obtaining a philosophy degree, he was sent to Rome for further studies in theology in Propaganda Fide. After three years of study, Rev. Leung received training in the Spirituality of Unity with the Focolare Movement. He was ordained priest in Hong Kong in 1972. Apart from two years working in the seminary, plus one year of study of Pastoral Theology in Chicago, he spent his time serving in different parishes in Hong Kong. On September 1st, 2001, Rev. 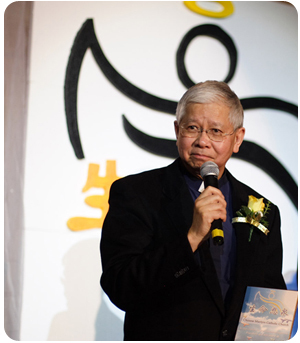 Peter Leung was sent to the Chinese Martyrs Catholic Church in Toronto, Canada to serve as pastor. On September 2007, he was sent to serve in Annunciation Church in Tsuen Wan, Hong Kong. On September 2015, he was sent to serve in St. Teresa's Church. 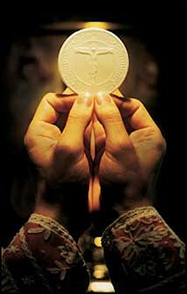 On September 16, at 11am Mass in the Church of the Annunication, from the hands of Fr. Thomas Law, I was being handed over the parish stamp, the key of the tabernacle and the letters that the bishop issued on the day when the parish was established. Since then, I am officially the pastor of the Church of the Annunciation. This year is 2015. In the past 43 years of my priesthood, this is my 9th parish that I am serving. Indeed, every parish has its own style and beauty. The only thing that is the same is that “the Lord is my Shepherd”! I have been writing “Pastor Corner” ever since 1988. At that time, I was the pastor of St.
Margaret’s Church. Then, when I was in Star of the Sea Church in Chaiwan and also in Chinese Martyrs Catholic Church in Toronto, I have also written “Pastor Corner” as a form of pastor’s sharing. These writings have been gathered into books named “Footsteps with the Lord” and “Footsteps with the Lord – The Journey in Canada”. I have said it before - I have no talent in writing and my writing does not flow very well, but I have a good Chinese teacher to edit. As a matter of fact, this is the fruit of the challenge that I had put on myself. If the words were inspiring, it was the work of the Holy Spirit. Around a month before I came back to Hong Kong, a personal website has been established. The writings from the past have been archived into the website, and it is used to continue the publication of “Pastor Corner”. At this moment, Annunciation Church does not have a regular publication of parish bulletin, but every week I still continue to publish “Pastor Corner” online to serve as an encouragement to each other. I wish that through this media, I can insert God’s message into the hearts of those “who have the heart to listen”. Also I hope after you have read this writing, you can give me feedback as I am not sure how many people read the column of “Pastor Corner”. Nevertheless, it will serve as an encouragement for me as well! This year marks the 20th anniversary of Pastor's Corner. The column has passed through three parishes -- St. Margaret's Church in Happy Valley, Star of the Sea Church in Chaiwan, and Chinese Martyrs Catholic Church in Toronto. Today I am writing the last piece for Pastor's Corner...because I am starting a new column in the website of the Annunciation Church and that column is called 'Words Of Blessings In Brief'. I don't know why I came up with that title. I guess I was trying to remind myself to get right to the point when I am saying something. At this point, I feel like I am missing Pastor's Corner already. After all, 20 years is a long time. I must say, though, during this long journey I have always felt the presence of the Holy Spirit by my side. Many people have told me they like my articles. I think the reason is probably they have found the footprints of the Holy Spirit somewhere in the articles. I want to thank the parishioners of St. Margaret's Church and Chinese Martyrs Catholic Church because their help has allowed me to publish four volumes of 'Footsteps with the Lord'. Copyright © www.frpeterleung.com All Rights Reserved.